Prepare for another annual Kamen Rider and Super Sentai live event next year featuring Kamen Rider Build and the Kyurangers plus the upcoming new Super Sentai team! This yearly event will feature a talk show between the cast of the cat of the current airing Kamen Rider and outgoing Super Sentai series plus introduction of the newest Super Sentai Team and live performances of various tokusatsu music artist. 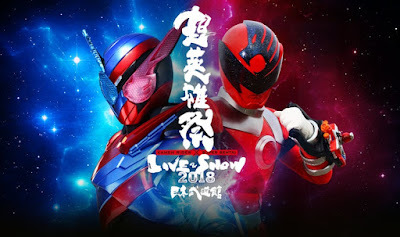 Chou Eiyusai Kamen Rider X Super Sentai Live & Show 2018 is scheduled to be held in Nippon Budoukan on January 24, 2018.